Hereby rendering ineffective the ambiguity of the Essay. Elder Oaks has taught us on several occasions to “Be One” and this celebration was no different. 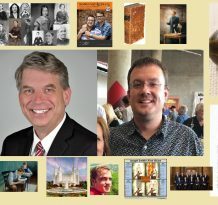 And yet if to “Be One” means I have to allow this unhealthy institution to shield itself from accountability and allow it to portray God as a racist SOB who he himself on his throne reached out to his servants and implemented the Priesthood and Temple ban without allowing any safe space left to believe that this Church’s leaders simply screwed up and have less of a direct connection than they want others to believe…. No thanks. And PS You didn’t cry.